The majority of all care for older or disabled individuals is provided in the community. Most individuals prefer to receive services in their home as opposed to moving into an institutional setting. Care provided in the home is more cost effective than institutional care for most elderly and disabled individuals. Through the coordination of a variety of services, seniors are able to live safely and with dignity in the comfort of their own homes for as long as possible. 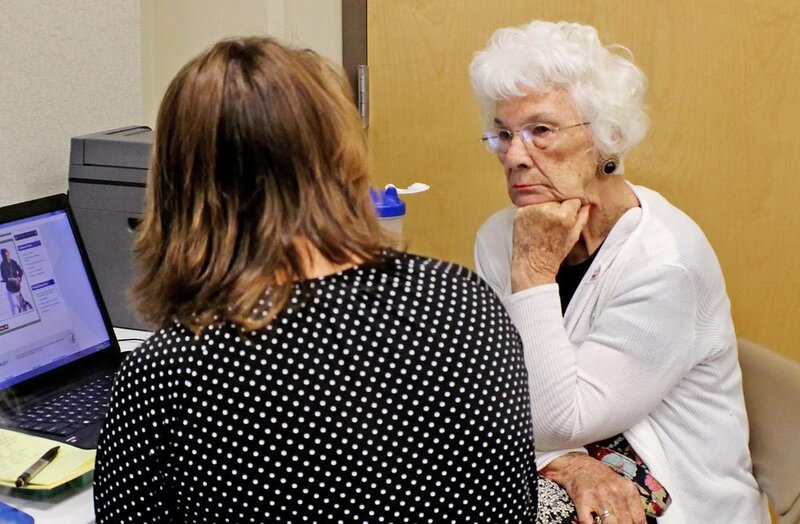 The Area Agency on Aging strives to assist seniors who are at risk of losing their independence to remain at home and in their own communities through in-home programs. The Medicaid Waiver Program is designed to provide services to seniors and disabled individuals whose needs would otherwise require them to live in a nursing home. The goal of the program is to enable clients to retain their independence by providing services that allow them to live safely in their own homes and communities for as long as it is appropriate. Individuals must be unable to perform many activities of daily living independently and be at risk for nursing home placement. Individuals must have full Medicaid benefits. *Individuals who have incomes 300% of the poverty level or below and limited resources may qualify for full Medicaid through the deeming process. Case managers work with clients to develop a plan of care based on the clients' needs and choices. Click on the buttons to learn more about each waiver program. Counselor – who advises the client through enrollment and orients them of their responsibilities, develops personal support plan and budget, provides monthly monitoring, and provides resources to assist client as needed. Financial Management Services Agency – serves as the clients' bank and accountant for the program. Keeps track of budget and expenses, pays clients' employees, and files taxes for client and employee. Representative – clients may allow someone to act as their representative if they do not feel comfortable managing their care alone. For more information about the Personal Choices Program or to make a referral to the program, please contact the Personal Choices counselor at: 205-333-2990 or 1-800-AGELINE. The VD-HCBS program is a new Veteran-Directed approach to providing services and supports in the home and communities of eligible Veterans. Through a partnership through the Aging and Disability Resource Center, operated by West Alabama Regional Commission (WARC), this service is available in the West Alabama region of the state. To be eligible, a Veteran must first be enrolled with the Department of Veterans Affairs Medical Center (VAMC), have a VA primary care team, meet the eligibility criteria for the Home and Community Based services as determined by the VA and receive a referral from the VAMC to West Alabama Regional Commission (WARC). This self-directed program allows Veterans’ choice, control, flexibility and freedom in planning their own services and supports. They can hire family and friends if they choose and pay them a fair wage. They may also purchase goods which contribute to their established care plan.